Today I decided to cover a completely different topic to what I have been covering so far. 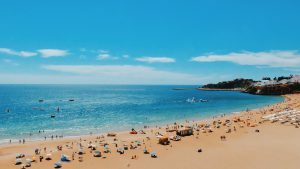 Since we still are kind of in the holiday season here in Portugal and especially at the Algarve I will write about the way to find cheap holidays in Algarve, Portugal. As you may know, Algarve is one of the top holiday places in Portugal and seeked after by many tourists in search for the typical beach holidays. 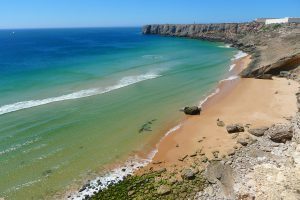 However, many people think twice about moving their holidays to the sandy beaches of Algarve, since it seems so expensive to go there and stay for as little as a few days. Especially in the most known places, like Albufeira or Vilamoura. In fact, Vilamoura has always been (since I can remember) one of the most expensive places in Algarve. But Albufeira, for example, used to be a little fishermen village, only to be turned into a VERY touristic area. However, I believe it is still possible for you to find cheaper places to be able to enjoy the magnificent beaches at these and other places. But let me start by showing you what is the Algarve. This region is the most southern part of Portugal and it attracts many people for its amazing beaches, its turquoise sea and its long, sunny and warm days. Besides this, the nightlife in most of the well-known places can be really nice too. Good wine and very delicious food are just the cherry on top of the cake! So, as I already mentioned, Albufeira used to be a little fishermen village with a very typical atmosphere to it. Nowadays, however, it became something like a “little Las Vegas”, as I like to describe it. Although for me this is not very attractive, if you like big parties and going “crazy”, this can be the place for you. Besides, the beach still keeps being my favourite in the whole region. It is just so warm and enjoyable and the water is super clean. Just try it out one day at least! 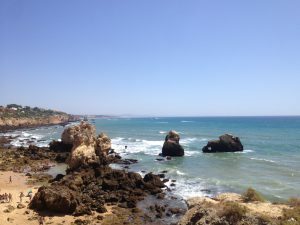 São Rafael is near Albufeira, but it is a bit more quiet and hidden from the big confusion of Albufeira. The beauty of this beach is its amazing rocks that have been eaten away by the sea for many, many years. The effect of erosion gives you a nice spot for pictures (be aware of potential falling rocks, though. If you have a sign saying not to approach or lie on the sand under them, please don’t do it! There have been accidents and you don’t want to ruin your holiday over a picture!). This is the “rich people´s” place. If you go to Vilamoura, I would advise you to go to the marine, where you can find all the yachts and the recreational boats. You can also try to have dinner in one of the many restaurants that this place offers you. 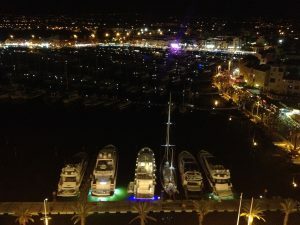 Be aware, though, that Vilamoura is really not cheap and if you want to stay there, you will have to pay a bit more than you would in other places. This is one of the warmest places in the Algarve, since it is closer to the Spanish border and therefore closer to the Mediterranean sea. The water is really nice as well and you can find lengthy sunny beaches with a lot of nice things to do and experience. Be aware, however that in summer Monte Gordo can be full of people and to park a car can become a nightmare. The view and the water can be worth it, though. If you are more of a calmer person, and you do not like a lot of people in the same place, I would recommend you to visit Fuzeta. This is the place where I spend most of my summers nowadays and I really enjoy it for its calmness and its warm water. Sure, you won’t find a very crazy nightlife. In fact, the only night life you will find are some small cafes and a fair that happens every year in August. However, if you are searching for discos or big parties, you will have to get your car and drive to one of the other bigger cities. 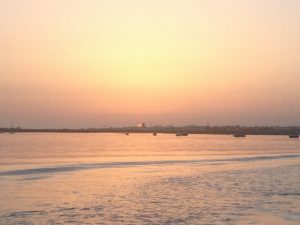 In Fuzeta, however, you will be able to enjoy beautiful sunsets while eating excellent fish, in one of the best fish places I have ever been to – Casa Corvo. Check it out in tripadvisor. So now that you know a little bit more about this rich region, the question that you probably want to be answered is: How can I have holidays in the Algarve without having to sell a kidney? (Seriously, do not do that! It is not worth it!). Another thing I would advise you is to book as early as you can. This will allow you to get cheaper prices for flights and eventually for your stay as well. If you really want to have a cheaper holiday I would also consider coming to Portugal in the lower seasons, like in May or September, so that you can still enjoy the good weather (the Algarve is known for having a long summer from April-May to September-October) at lower prices. Another thing to consider is the places where you eat. The restaurants in the big, touristic cities, near the beach are probably not the best option for you, if you are trying to avoid spending a lot of money. The best approach is to ask local people where the cheap places to eat are. You can try to do this in websites like “Couchsurfing”, where you can find groups with locals from pretty much every place. Just add yourself to the group belonging to the place where you are headed to. Couchsurfing, in fact, can be a good place to start looking for cheap accommodation. Be aware, however, that you will have to start searching really early, as people tend to not like last-minute requests. Sometimes it will take you months until you get a positive response. In Couchsurfing you will have the opportunity to stay at someone´s place without having to pay anything. It is a way of meeting people and meet the culture of the country with no monetary intentions. People offer you their house sometimes in exchange for some dinners together and a good laugh. It is a good approach to travelling, I guess, but always check your hosts background and be safe! Another good way of finding cheap accommodation can be through Airbnb. Airbnb has become very successful around the world and also in Portugal in the last decade and I have used it many times myself. 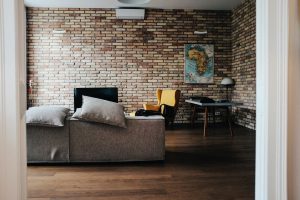 At their website – www.airbnb.com – you can find many houses or private rooms, as well as shared spaces from private people, where you can stay at a normally lower price than if you go to a hotel. => Get 35 EUR on your first trip with AirBnB – CLICK HERE! If, however, you have a bit higher budget and you want to find a hotel, I would recommend you to use either Booking.com or Trivago.com. They are both good websites to compare hotel prices and to choose the best option for you! => Get 10% DISCOUNT on your first reservation on booking.com – CLICK HERE! At the end of the day, of course, if you like the outside and being in contact with nature, you can always opt for the cheapest accommodation of them all – camping. Last year, since I did not have much money, I was camping in Albufeira for some time and I really enjoyed it. The camping in Albufeira, for example, is not so far from the city center and you can easily take the car and go to the beach or take a bus that goes by the camping park every day, many times a day. Besides this, the camping park in Albufeira features a very big swimming pool, a supermarket and many other commodities, which make it one of the best parks I have been to in my life. If you want, you can check the camping park out here. 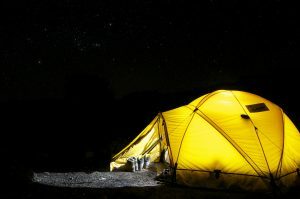 If you want to find more about Parques de Campismo in Algarve, you can also take a look at the 9 best camping places in this region by the e-konomista – a Portuguese online magazine. What else is there to see in Portugal? Lisboa is the capital city and it is full of life and culture. In the southern flank of Rio Tejo, you can also find a very well-known beach spot called “Costa da Caparica”. If you want to stay on the Northern side, however, you can go to Cascais and you can enjoy some nice meal facing the ocean. The water is not as cold as in Porto but it is not very warm either. 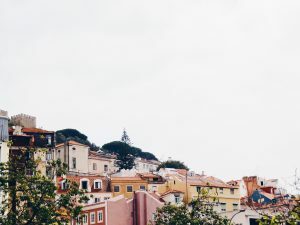 Sintra is also very nearby to Lisboa and I would recommend you to visit it, since it is one of the most beautiful spots in Portugal (in my opinion, of course). This is the region above the Algarve and it can be the best alternative for you, if you are searching for beach holidays. It is not as warm as the Algarve, but still fairly warm and immensely beautiful with its white, small houses and flat landscape. Alentejo has a vast coast with many different beaches and you can enjoy the beach life at a very reasonable price. If you want to visit different cities you also can, as Alentejo has some of the prettiest towns in the hood! I would recommend you to visit Évora, Beja, Reguengos, Odeceixe and many others. Just get your map and start searching. Basically everything is worth seeing in Alentejo! 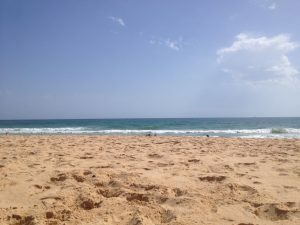 So, I hope this article has helped you find some good suggestions for cheap holidays in Algarve, Portugal. If you have any doubts, please don’t hesitate to leave your questions in the comments section below. I will be more than happy to answer. However, I would like to finish this blog by telling you that no matter what you choose to do, come to Portugal! It is totally worth the while! Hey, great article and very informative. It’s really useful to know where the water is cold and warm and it’s also about the different night-time economies and what type of prices to expect in each place. My friend visited Vilamoura, now I know she has cash! I’ve been thinking about heading out to Portugal as it seems like the place to be, so I’m very glad I found your post. Quick question…I’m very much into hiking as well – do you know what the best areas are for hill walking and that kind of thing? Hey! Thank you for your comment Oliver! 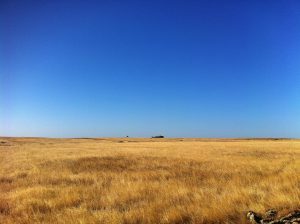 About the places for hiking….Well, Alentejo does not have many hills and no mountains at all…it is really flat so I would not go there. Algarve, on the other hand has a nice “Serra”, a kind of a mountain – hill thing. It is really nice over there but it can be super warm as well, so be aware of that! Up in the north you have the Douro Valley (where Port Wine is produced) which is really nice and you also have Gerês, which is a protected green area. Last weekend I was there and I even saw wild horses. Besides, you can also swim in the amazing waterfalls and little lakes. It is really nice! In Serra da Estrela, the biggest mountain in Continental Portugal, it is also nice to hike. In Winter it has snow but in summer you can enjoy the warmth of the mountain. Well, what can I say? Portugal is rich with different places to visit and enjoy! Just come by and see it for yourself! I loved the fact that you decided to talk about cheap holidays in Algarve. Portugal is such a beautiful place! I went there a couple of times but sadly, I only had time to visit Lisbon. I’ll never forget the Pastel de Belem. Delicious even for me that (almost) never eat sweets. 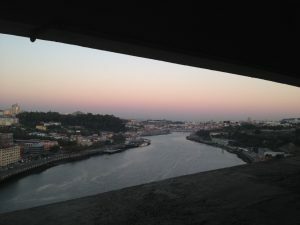 A trip to Porto has been on my wishlist ever since my husband went there and came back saying amazing things about the place, the food, and the people. So your post just lightened up an old wish of mine. I’ve already marked the Couchsurfing website link to get local tips about the places we decide to go. I had never heard of it but thought it’s genius! Although we’d prefer staying at a hotel, or in a rental house through AirBnB. We’ve used it quite a few times and highly recommend it. I’ve already written down: São Rafael, Fuzeta, Porto, and Alentejo to visit. Do you have any recommendations for winery tours in Portugal?